Miracle-Gro Singles, Miracle-Gro Shake and Feed, and Vigoro fertilizers are associated with net loss/enhancement of Mn, up to an order of magnitude when referenced to controls in soil, radish vegetables, and radish leaves; Mn enhancements are a factor of 4 to 65 below the daily required intake for humans (2–5.5 mg/day). Manganese levels were measured by atomic absorption spectrometry (AAS). Control soil, radish vegetables, and radish leaves contained 65 μg/g to 146 μg/g (median = 108), 65 μg/g to 357 μg/g (median = 281), and 185 μg/g to 401 μg/g (median = 323) of Mn, correspondingly. Manganese uptake was ten times greater in radish leaves compared to radish vegetables and enhanced by a factor of 3 in soils. Edible radish leaves/vegetables contain 65 times less than human Mn daily requirements. This equates eating 140 lb/day of radish vegetables/leaves. The fertilizers have a minor impact on Mn accumulation in radish leaves/vegetables. The USDA Nutrient Database for radish (0.69 μg/g of Mn) contradicts this notion as one would need to consume ~ 7 to 18 lb/day of radish to satisfy their daily intake. 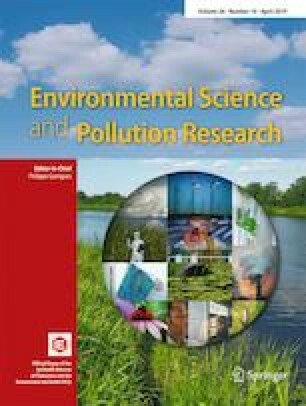 This study complements investigations showing that fertilizers induce minimal uptake of heavy metals in food; simultaneously, the net loss of Mn amounts observed in some samples of radish leaves and vegetables is analogous to the dilution effect of minerals/nutrients in edibles. Although a deficiency/excess of Mn in one’s diet may lead to adverse health effects, background inhalation exposure in general public, occupational, and emergency response settings has a greater influence on one’s propensity toward developing adverse health effects related to Mn inhalation exposure. This study shows that three commercial fertilizers have minimal contribution toward the uptake of Mn in Cherry Belle radish plants. Moreover, short- and long-term exposures to Mn may have adverse human health impacts even within the context of a low-to-required/optimal Mn obtained from foods. We also like to thank Dr. Edward Catapane and Dr. Marageret Carol, both Professors of Biology at Medgar Evers College, for allotting us time to use their atomic absorption spectrometer. Author Shelly Clarke-Lambert, Dickens Saint Hilaire, Joel Strothers, Madelaine Lebetkin, and Umarbek Nasimov aided in preparing/carrying out all the experiments and in drafting the manuscript. Agata Blaszczak-Boxe, Jochim Stock, Oluwaseun Salako, Dereck Skeete, and Christopher Blaszczak-Boxe designed and led all the experiments and the construction of the final version of the submitted manuscript. We are thankful for the support, which funded the investigation described herein, via Con-Edison (Grant No. 1054322).